Item # 311763 Stash Points: 395 (?) This is the number of points you get in The Zumiez Stash for purchasing this item. Stash points are redeemable for exclusive rewards only available to Zumiez Stash members. To redeem your points check out the rewards catalog on thestash.zumiez.com. Are you a bored teenager? 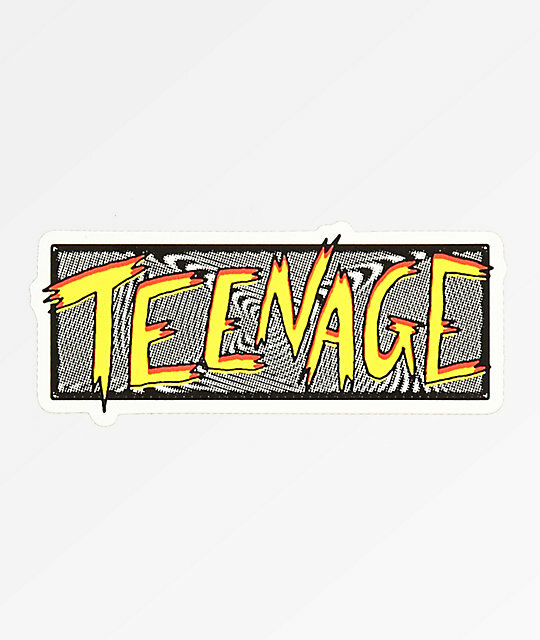 Stick the Scratchy Swirl Sticker from Teenage anywhere for an instant burst of fun. This sticker features easy peel and stick adhesive so you can stick it to any surface. Scratchy Swirl Sticker from Bored Teenage. 2" x 5" | 5cm x 13cm (approx. ).